Universities in the United States and Sweden are beginning to divest in fossil-fuels. Several of these organizations have been announcing their divestment strategies over the past few weeks, showing more favor for renewable energy, as clean power could be a more economic and efficient way to obtain electrical energy. Earlier in the week, Oxford University’s General Purposes Committee met to discuss the matter of divesting from fossil-fuels. The university has nearly $4 billion in investments into the fossil-fuel space. The meeting was the result of a campaign launched by the Oxford University Fossil Free group. 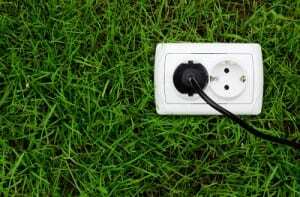 Fossil Free has been critical of the use of conventional forms of energy for some time, supporting alternatives that are considered more environmentally friendly. According to the organization, Fossil Free members have been painting their degrees black with oil as a way to express their disfavor for the fossil-fuel sector and Oxford University’s support of oil. Earlier this month, Goddard College in Vermont also announced that it will be divesting from fossil-fuels. The college notes that this is a move in the organization’s long history of “imaginative and responsible action.” The college has been working to reduce its impact on the environment by reducing the amount of carbon dioxide it produces. Divesting in fossil-fuels and showing more favor for renewable energy are part of the organization’s ongoing environmental plan. Last year, Stanford University also announced that it will no longer be investing in publicly traded companies in the coal business. Stanford is one among several other universities that is pulling back support of the fossil-fuel sector. Many of these universities have begun embracing various forms of renewable energy, such as solar and wind power. These universities are also home to the research and development of clean technologies that could help reduce the need for coal and oil in the future.